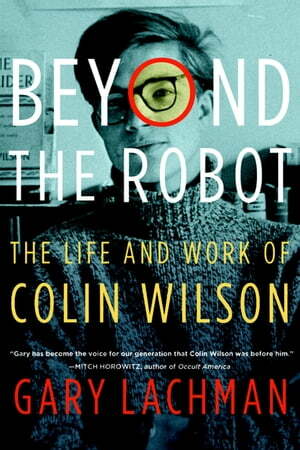 Collins Booksellers - Beyond the Robot by Gary Lachman, 9780698184312. Buy this book online. Historian Gary Lachman delivers a fascinating, rollicking biography of literary and cultural rebel Colin Wilson, one of the most adventurous, hopeful, and least understood intellects of the past century. You will embark on the intellectual ride of a lifetime in this rediscovery of the life and work of writer, rebel, and social experimenter Colin Wilson (1931-2013). Author of the classic The Outsider, Wilson, across his 118 books, purveyed a philosophy of mind power and human potential that made him one of the least understood and most important voices of the twentieth century. Wilson helped usher in the cultural revolution of the 1960s with his landmark work, The Outsider, published in 1956. The Outsider was an intelligent, meticulous, and unprecedented study of nonconformity in all facets of life. Wilson, finally, became a prolific and unparalleled historian of the occult, providing a generation of readers with a responsible and scholarly entry point to a world of mysteries. Now, acclaimed historian Gary Lachman, a friend of Wilson and a scholar of his work, provides an extraordinary and delightful biography that delves into the life, thought, and evolution of one of the greatest intellectual rebels and underrated visionaries of the twentieth century.